Over $10,000 given to educators! Rachel Olmanson, Art Teacher at St. Michael Catholic School in Prior Lake, used Ag Literacy Grant funds to purchase egg incubators and integrate the life cycle of chickens into many subjects while recording and documenting the hatching process in her art classes and classes of several of her teaching colleagues. The Minnesota Agriculture in the Classroom (MAITC) Foundation proudly offers an agricultural literacy grant program. Cash awards (maximum of $1000) are offered to encourage educators to integrate agriculture into their classroom and curriculum. FFA, 4-H and other non-formal educational groups are also encouraged to seek funds to host ag literacy events and activities. Congratulation to the 2016 Grant Winners! 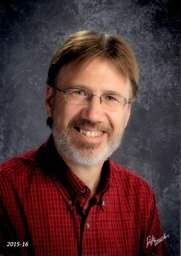 Mr. Gruhlke has worked with young children, primarily as a kindergarten teacher, for over twenty-five years and has been a long-time advocate for agricultural literacy. Why do you believe it is important for our teachers and students to be agriculturally literate? Let’s help shape and reconnect the future by educating the young about their food source through presentation and experience. This is my drumbeat of the importance of teaching agricultural literacy from the ground up. 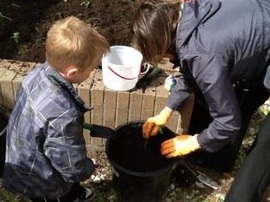 What impact has integrating agriculture in your curriculum had on you and your students? What has most struck me throughout the years is how awed students are at growth. It strikes them at their roots. It readies them to absorb greater truths of growth through interdisciplinary integration of academia, and it’s done with smiles and intrigue. Isn’t that the glory and effervescence of education? 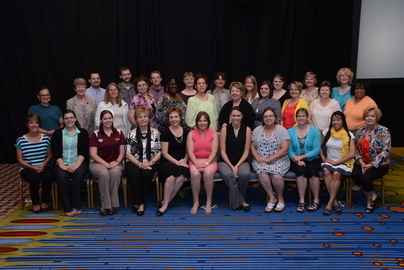 The CHS Foundation is sponsoring 45 teachers from across the nation to attend the National Agriculture in the Classroom Conference June 20-24, 2016 in Phoenix, AZ. Engaging workshops, tours, keynote speakers and networking events will provide exceptional learning opportunities for these teachers to increase their comfort level in agriculture and also integrate agricultural content into Science, Social Studies, Language Arts, Math and Health/Nutrition education. Applications are due February 29, 2016. Congratulations to Kristen Gustafson for being the first person to respond with the correct answer to our January trivia question. Kristen knew that Minnesota ranks at the top of the U.S. in green pea production. Washington leads the U.S. in green pea yield but Minnesota has the largest number of acres planted and harvested. Both answers - 1st and 2nd - were accepted as correct. The other top ten responders were Mark Wackerfuss, Sara Britton, Neil Kruse, Mary Schmidt, Eldanesta Saaijman, Gertrude Jensen, Chrissie Ten Eyck, Tracy Bockbrader, and Joan Paggen. 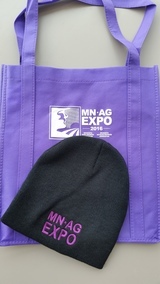 February Trivia - The first person to email the correct answer for the question below will win a hat and bag from the MN Ag Expo. What is the scientific name (Genus and species) for field corn?